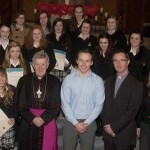 John Paul II Awards 2012 – Tuesday 27th November will saw 114 young people from across the diocese receive their John Paul II award from Archbishop Michael Neary in the Cathedral of the Assumption, Tuam at 6pm. 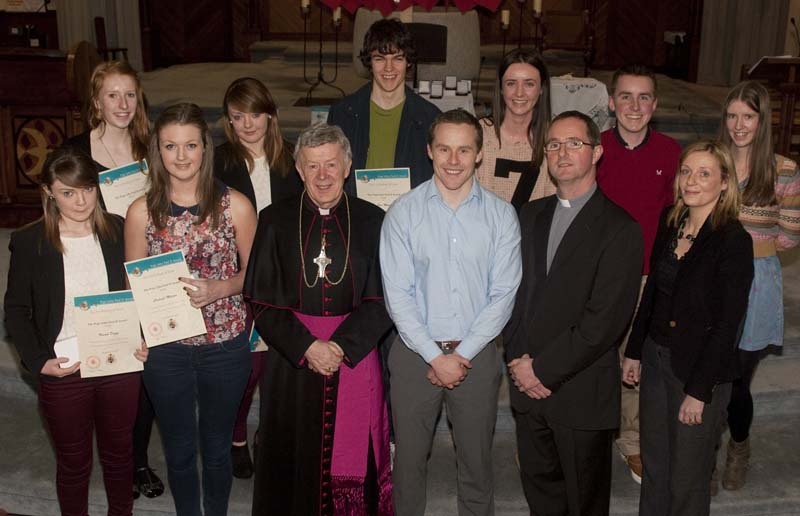 It has become one of the diocesan highlights each year as we come together to pay tribute to the youth of diocese in the role they have played in the life of the Church. This year, for the first time four people received their Papal Cross award, a second year of commitment to parish and social awareness extending over a period of 26 weeks. It was a proud moment for all of them and for us too. 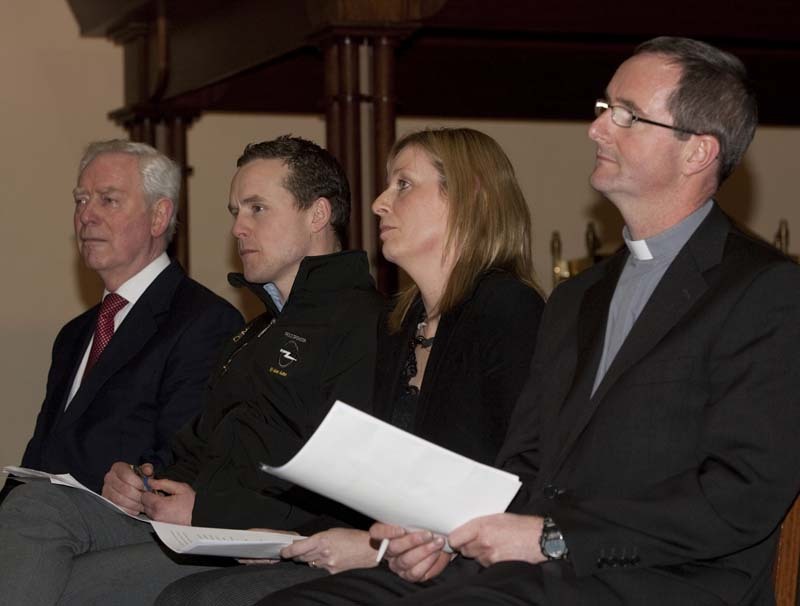 The ceremony included a mime of the forgiveness of Jesus, a video presentation on the experiences of the John Paul II award and an address by Andy Moran, captain of the Mayo senior football team. 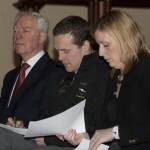 It was a wonderful evening for all involved and was streamed live via www.tuamparish.com for those who could not be there. 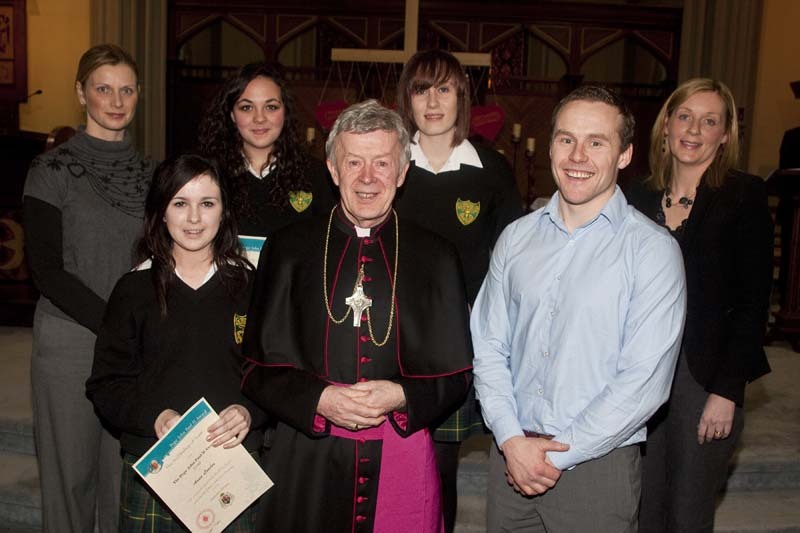 It recognised that we all have a lot to be hopeful about when we witness the commitment of our young people to their Catholic faith. Fáilte romhaibh ar fad inniu ag an Ard-Eaglais anseo i dTuaim agus muid ag ceiliúradh duaiseanna Eoin Pól II! I extend a very warm welcome to you all and congratulate you on being conferred with the John Paul II awards this evening. 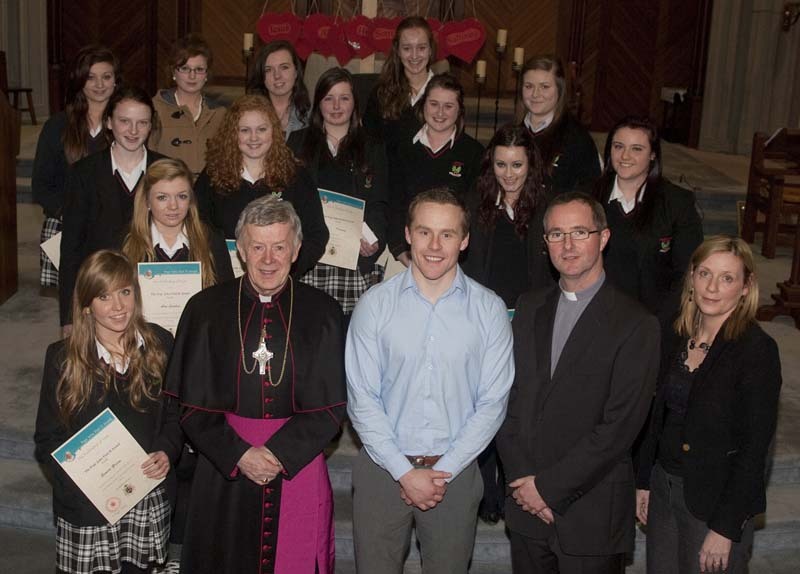 Welcome to members of your families, principals, teachers and your local priest who have supported you in this. 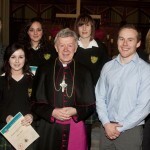 Welcome to Barney Burns, Supreme Knight of the Knights of Columbanus who generously support this great project. 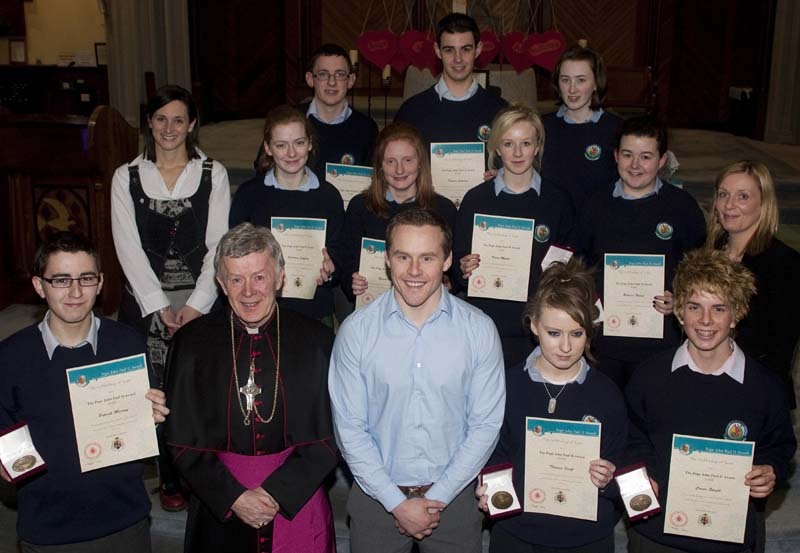 The John Paul II award affords young people like yourselves real and meaningful opportunities to play your part in building up God’s kingdom. 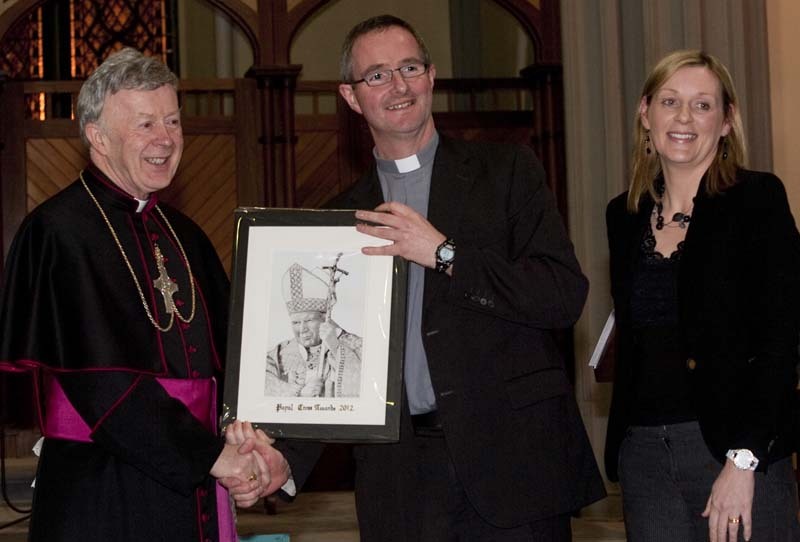 This award is a way of honouring the vital role which you already play in your parish community. It provides you with the way of expressing yourself, the practical ways of challenging you to reflect on your role in the Church. As young people you are eager to respond by striving for a better world. In your deepest aspirations you want the society to accept you as partners in building a more humane, just and more compassionate world. Everywhere there are deep concerns for young people like yourselves who are particularly sensitive to the real meaning of life and ready to give of your best in service to others. In seeking solutions the world tends to work from the outside in, whereas followers of Jesus Christ work from the inside out. The world tends to mould people by changing their environment. Christ changes people, then changes their environment. A leading Psychiatrist once wrote that “if you were to take the sum total of all the articles that were written by the most qualified Psychologists and Psychiatrists, if you were to combine them and refine them, you would have an incomplete summary of Jesus’ teaching at the Sermon on the Mount. The Beatitudes are the basis and the kernel of human life. The word Jesus used which we translate as “blessed” is a very special word that contains elements of joy, happiness, serenity and loveliness. You will notice that there is no tense to the Beatitudes; their blessedness exists in the present and continues forever. All the Beatitudes speak of this world, not of “pye in sky”. According to G. K. Chesterton , Jesus promised his people three things: that they would be absolutely fearless, very happy, and in constant trouble. Chesterton added “I like getting into hot wate; it keeps me clean”. C. S. Lewis reminds us that to love means that we shall be vulnerable – “love anything” says Lewis, “and your heart will be tugged and may be broken. If you want to avoid that, you should give your heart to no one. You shall have to wrap it up with luxuries, avoid entanglements, and lock it up in a coffin of your selfishness”. Through the ages, Catholics have had two interesting tendencies. One is an occasional ghetto mentality: standing aloof, hiding one’s head in the sand, and allowing the world to “go to hell if it wants”. The second tendency, the youthful one, to which you have committed yourselves, is to win the world for Christ. This is the only way to go. Furthermore it means that you will always have a steady job.  Through this Award you are enabled and encouraged to take an active part in the life of your Church, in the life of your community and society, and become more aware of teaching and the role of the Church in the world. This will enable you to engage at a deeper level with Christ. It will help you to understand that religion, if it is to be real must engage with the real world; faith is not something that must remain in our heads, it must find expression in our hearts and reach out from there. 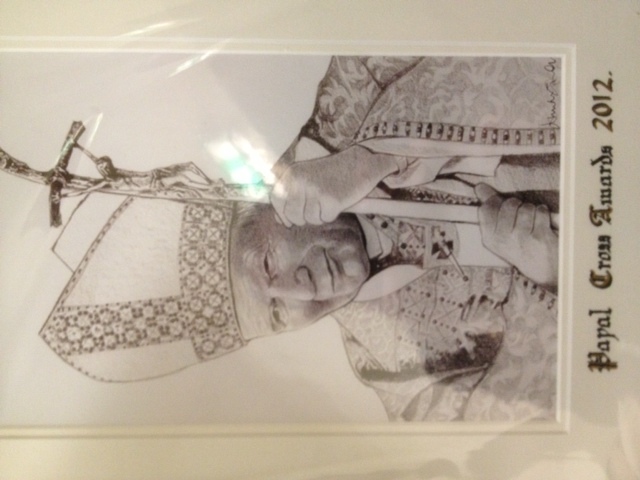 This is the third year of the John Paul II Awards here in the diocese. In the first year there were fifty being conferred, last year eighty and this year over one hundred. In our celebrations this evening there are eleven schools incorporating 31 parishes involved. This is a special evening not just for yourselves who are being honoured with the John Paul II Award but also for parents and families, your Principals and Teachers. They are contributing to making you the kind of person you are today and for that reason we are all indebted to them. 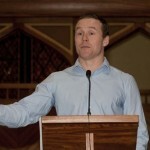 I like to say a special word of welcome to the Presenter of the Awards, to Andy Moran, the Mayo Captain. Andy is a great leader and motivator. He has coped with injury and defeat but is always resilient, never gives up and someone who has won the hearts of lovers of Gaelic Football throughout the country. It is appropriate that he would confer the Awards this evening. For that, Andy, we are delighted to have us with you on this special occasion. 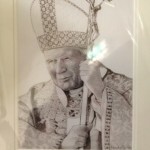 I would like to acknowledge the important role which the Diocesan Youth Council is playing in arranging that the Archdiocese would become involved in the John Paul II Awards. 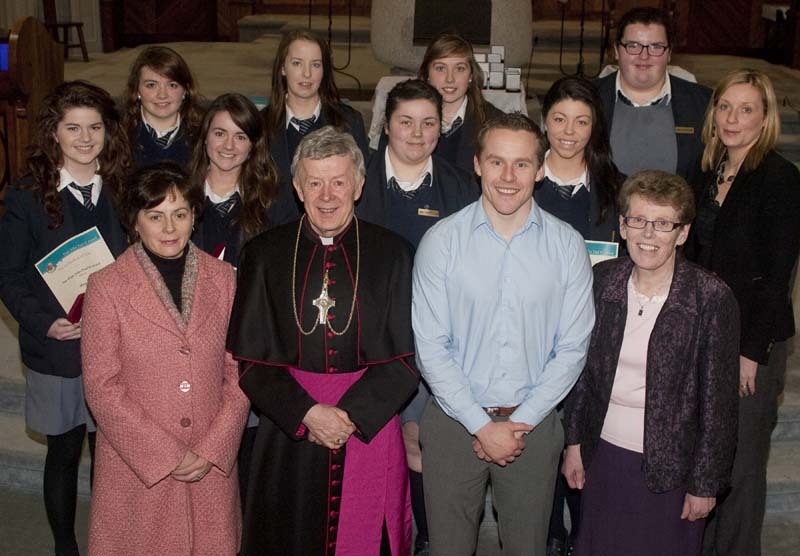 You may be aware of the fact that a renewed Diocesan Youth Council is about to come into being. I look forward to great work on their part. 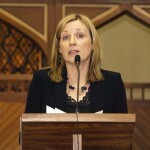 It is also appropriate that we give a warm welcome to Trish O’ Brien, who has been employed by the Diocese for this year as Diocesan Youth Director. 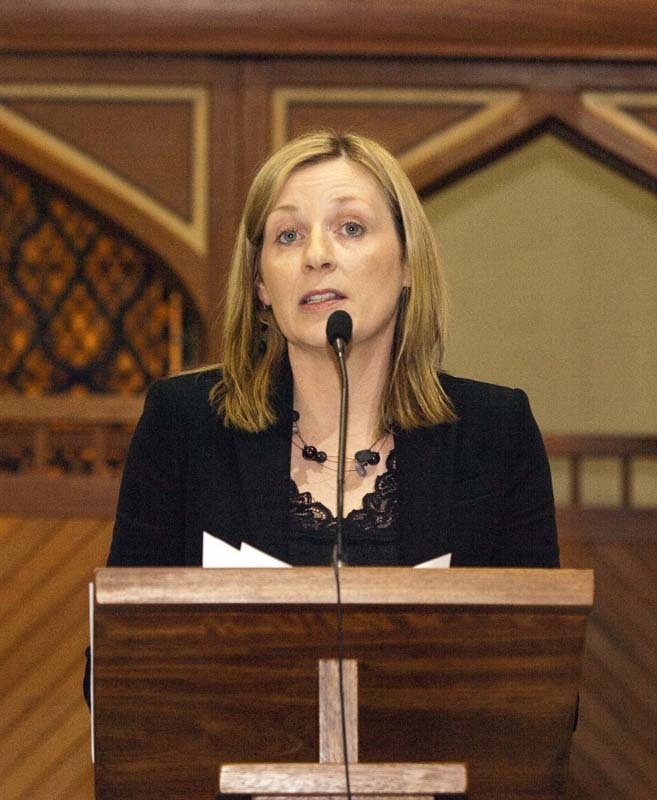 She will be in contact with different groups and parishes throughout the diocese. She brings great experience and expertise to her role and we look forward to great things happening as a result of her presence in this role. 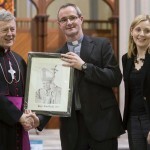 The main mover behind the John Paul II Awards is known to you all, Fr. Tod Nolan. Fr. Tod for the last number of years has been the Youth Director for the Diocese. You are liable to meet him in any of our parishes where young people congregate. 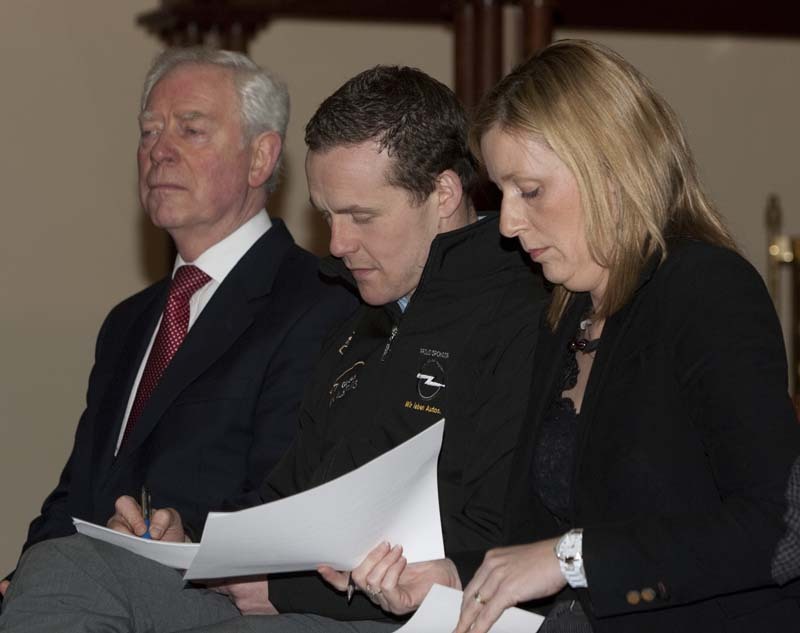 He has organised Youth events in Ballintubber, Mameán, Croagh Patrick, the Famine Memorial Walk, the Tochar Phádraig, World Youth Days and many other events. He himself is unaware of this but for all of the work that he has been doing he is being presented this evening with a special award and I think you will all agreed that it is well-merited on his part. Mar fhocail scoir, déanaim comhghairdeachas ó chroí leis na daoine óga ar an lá mór seo. 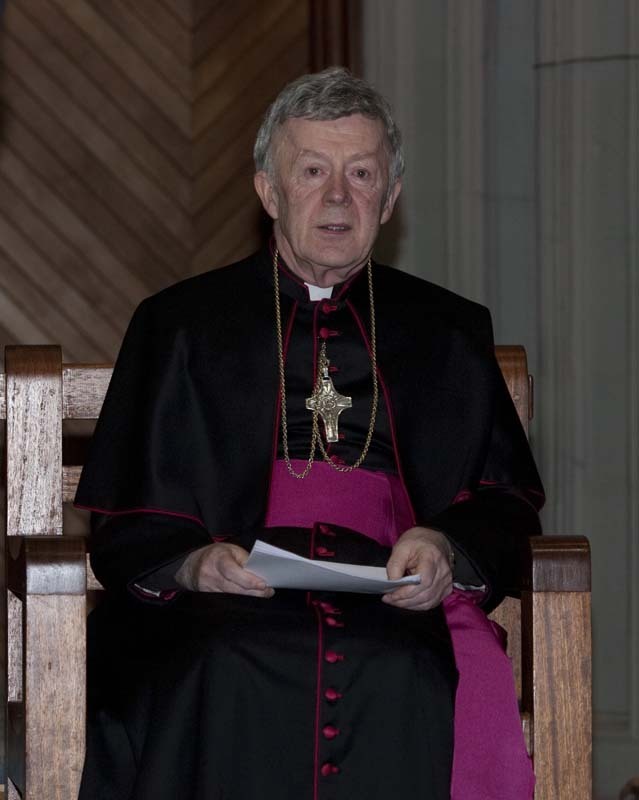 To conclude – I again warmly congratulate you all – on the great work you have done and what you have achieved to be able to receive your bronze, silver, and gold medals and Papal Crosses this evening. 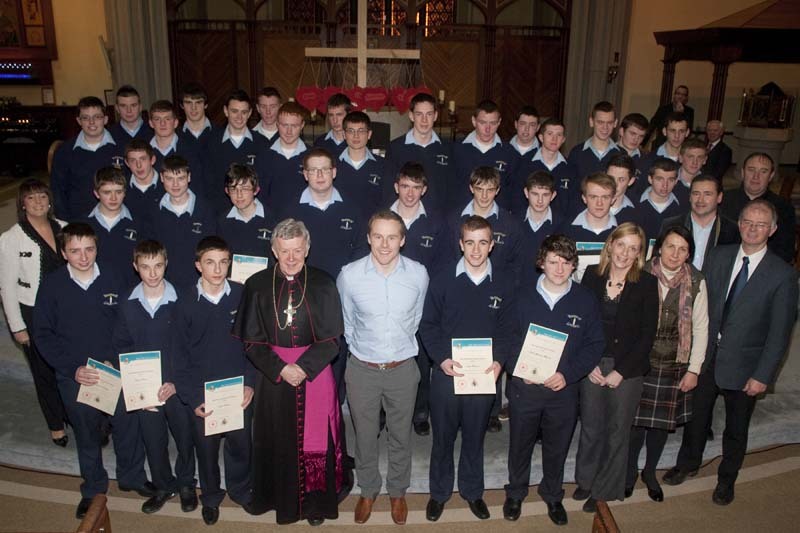 Congratulations and well done to your teachers, parents and local parish clergy that assisted you in any way. Please God, you will continue to grow in relationship with Jesus Christ and through the Church do great work for many a year in the very bright future that lies ahead of you all. 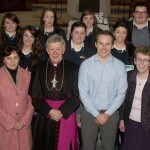 Archbishop Neary, Reverend Fathers, Sisters, Parents, Teachers and Pope John Paul II participants. 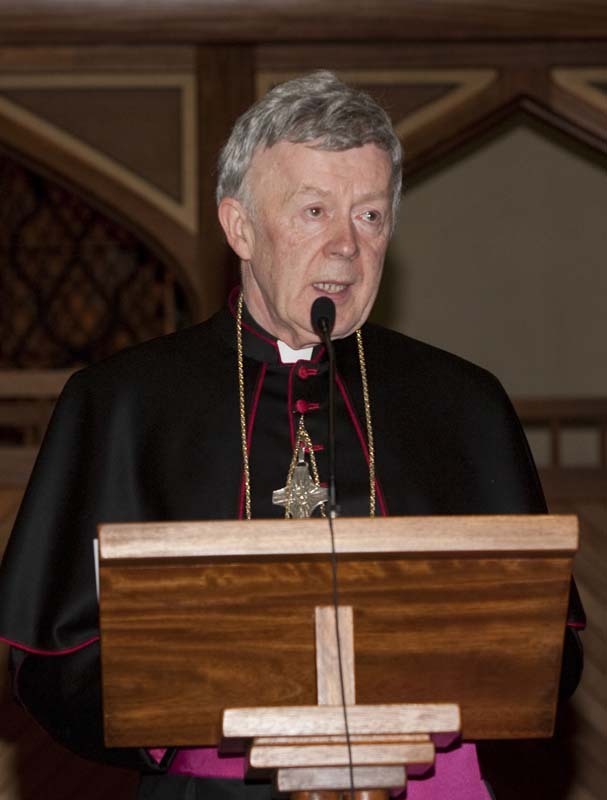 It is my great privilege to extend a warm welcome to you this evening as we gather in the Cathedral of the Assumption here in Tuam. 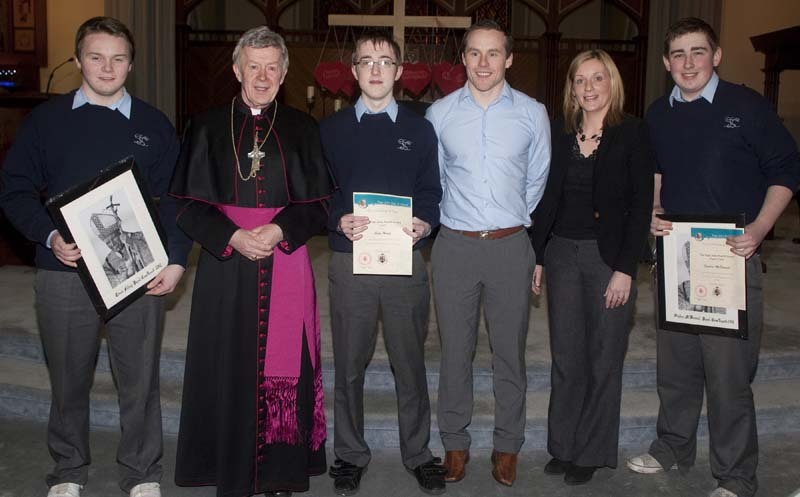 A diocesan Cathedral is the mother church of the diocese and so it is a very fitting place to honour our youth who have contributed to the life of the church in their local parish. 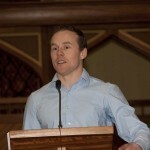 On behalf of all who are gathered here I would like to extend a very special welcome to our guest speaker this evening Mr. Andy Moran, captain of the Mayo Senior Football team and Development Officer with Mayo Roscommon Hospice. It is our great privilege to have you here with us this evening Andy and we thank you for taking the time out to join us in honouring the youth of our Archdiocese. 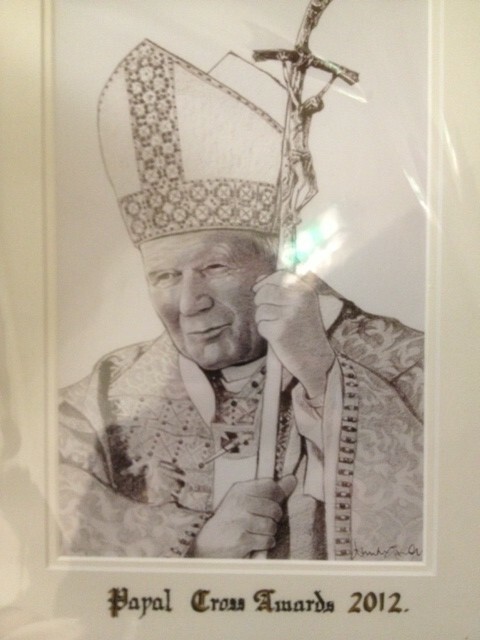 The establishing of the Pope John Paul II Awards in the diocese could not have been done without the support and funding which we have received from the Knights of St.Columbanus. I take this opportunity to publically thank the Knights for their quiet, supportive and prayerful presence in our diocese and I welcome Mr. Barney Burns here this evening, representing the Knights of St. Columbanus. 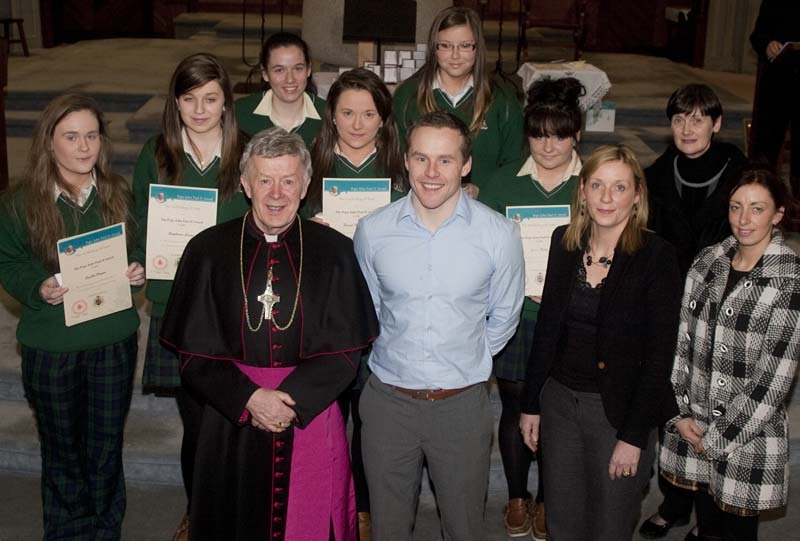 The Pope John Paul II Award challenges young people to commit themselves to active parish and community involvement. Taking on a commitment is never easy, setting yourself goals and tasks can often seem daunting. Last year 85 people received the Award, this evening 112 people from 31 parishes will be presented with the Award, having fulfilled their commitments and achieved their goals. 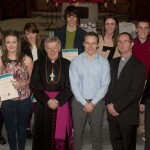 Among those participating this year are four young people receiving their Papal Cross Award. 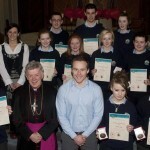 This will be the first time that the Archdiocese of Tuam has awarded young people the Papal Cross. It is fair to say at this point that the dedication of all our young people is truly worthy of honour. Making the connection between life and faith and between faith and life is essential for us all. Authentic faith needs to find expression in who we are and what we do. Genuine faith has relevance for how we live our lives and for the type of society we seek to create. 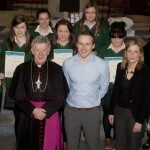 The Pope John Paul II Award seeks to encourage young people to make that connection. The young people sitting before us this evening have immersed themselves into the life of their parish and of their community. They have enhanced their weekly parish liturgies through song and music and by serving as ministers of the Word and of the Eucharist. Through their participation they have enlivened the great liturgies of our Church’s year. 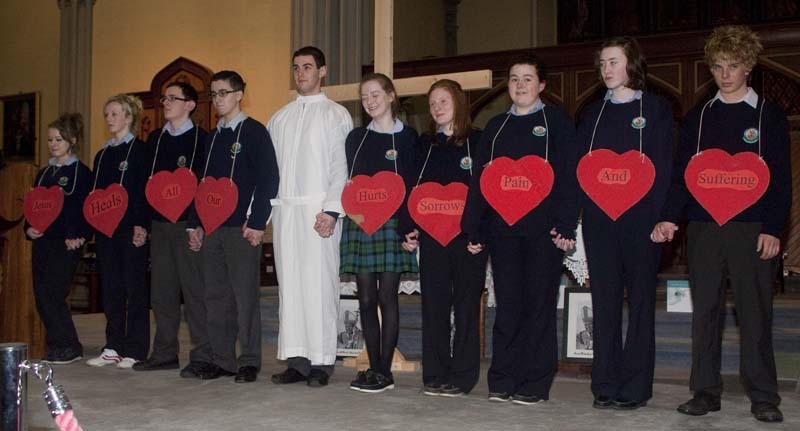 They have given witness to their faith by acting as faith friends or as leaders for the “Do This In Memory” First Communion programme and “You Shall Be My Witnesses” confirmation programme. 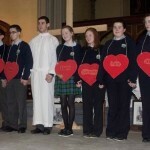 They have given life to their faith through their involvement with groups such as Faith and Light, with the Vincent de Paul and the Legion of Mary, working as junior stewards at Knock Shrine and volunteering to work with a myriad of charity shops across the diocese. 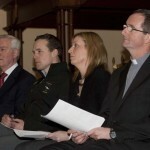 They have served their community through caring for the elderly, visiting the sick, fundraising, mentoring, and through their involvement with such groups as Foróige and No Name. And the list goes on; newsletters, Lenten Gardens, the crib at Christmas, the cup of tea and chat after mass, the preparation of parish halls and community centres for important occasions, the coaching of the young in sporting skills, the education of the elderly in computing and internet skills. Most of all though what the young of our diocese have achieved is putting into action the most fundamental precept of our faith which is love, loving God and loving your neighbour. 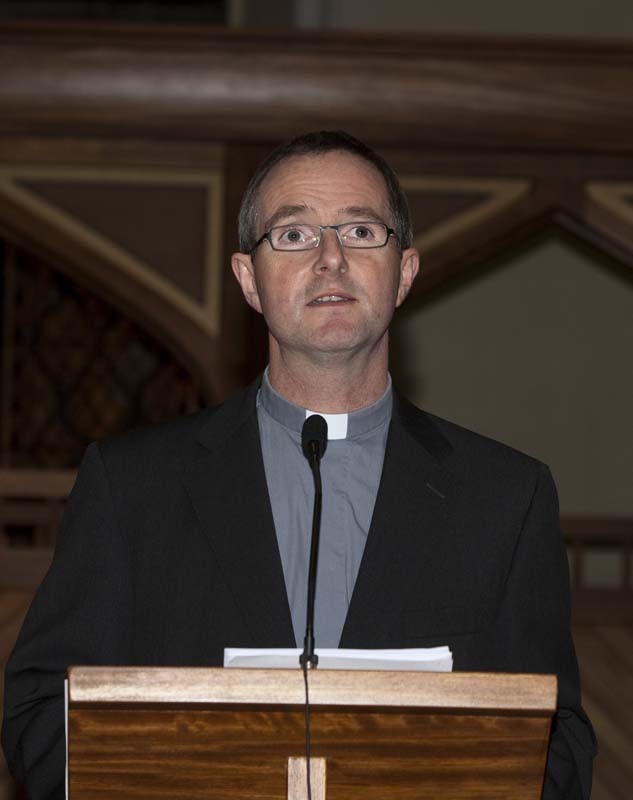 It has been visible everywhere in their work and our hope now is that what they have begun will continue to grow throughout each parish, across the diocese and into the wider community. If the purpose of the Award had been that you might learn something from the experience – and indeed you have, the outcome has been that it is us who have learnt more from you. From witnessing your faith in action to reading your reflections we have been given great gifts of wisdom and understanding from you. We have learnt that your faith is very important to you, that your capacity for love is unbounded, that you want your voice in our church to be not just heard but to be honoured. We have learnt that you want to be enabled to play a meaningful role in your church and that not only has your faith grown through your involvement in the life of the church but that your involvement in the life of the church gives you great joy and fulfilment. 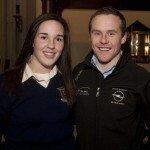 This year we acknowledge also the work of four young people who for a second year took part in the Award. 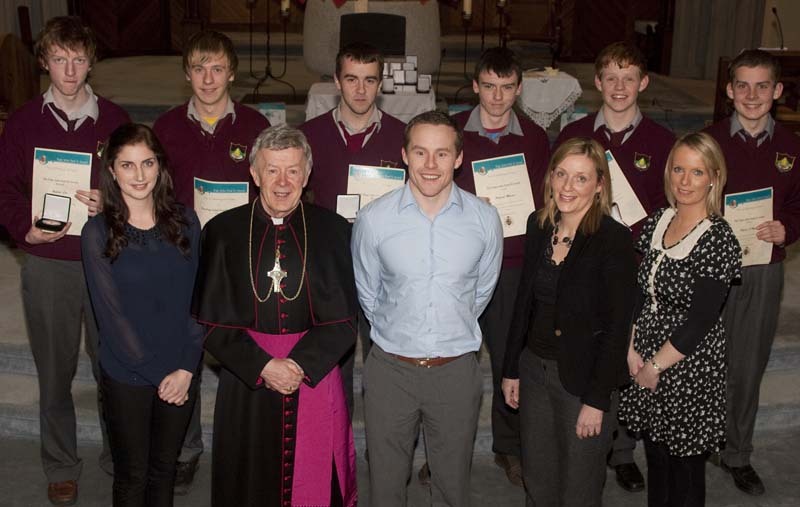 Two students from Claremorris and two from Castlebar applied to do the Papal Cross Award. This meant that each of them pledged to be actively involved in the life of their church and local community over a period of 26 weeks. Later you will get an opportunity to see their faith in action over the course of that year. For now though we thank you for what you brought to your local parishes, we encourage you to remain active in your church and we commend you for your influence on those around you both known and unknown to you, whose lives you have changed for the better. 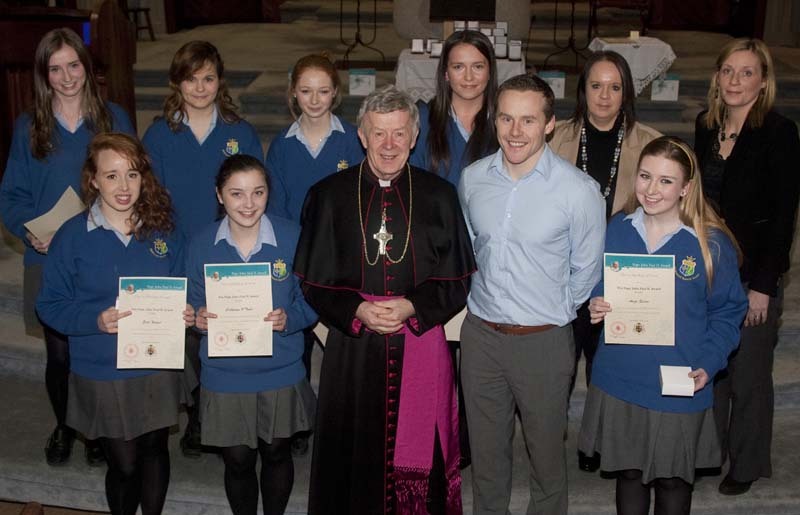 As an Archdiocese we have recognised the great value of an Award such as this not just for itself but the many sparks of hope for the future that are ignited by it. 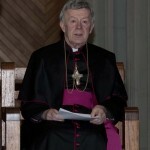 We are confident that our church will remain just that, a church for every one of all ages and we are assured that you will continue to breathe the energy and dynamism of youth into the life of parishes, our Archdiocese and the lives of all people you meet along the path of your lives. 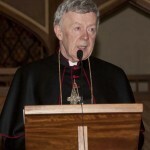 It is now my great pleasure and privilege to invite Archbishop Neary to say a few words about how the Award has impacted the Archdiocese of Tuam. Now we come to the Awards themselves. There are some instructions regarding receiving your award. 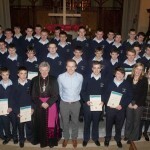 Each group will be called out according to their school or parish, one recipient at a time. Recipients are asked to come forward, receive your award and wait at the sanctuary area for a photo. In order that we can acknowledge recipients please keep your round of applause until the whole group has received their award. At this point I invite you to sit back and soak up all that went on for at least two of our recipients this evening. 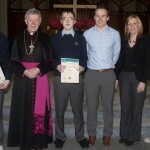 Kieran and Sean are going to give you an opportunity to look at their presentation for the Papal Cross Award in the form of a video clip. It is always important for us as an organising committee to invite someone to our presentation evening who we feel has something very significant to say to you. A leader if you like who has shown by their example what it means to commit to something, to persevere with that commitment and to be open to all that can be experienced as part of it. 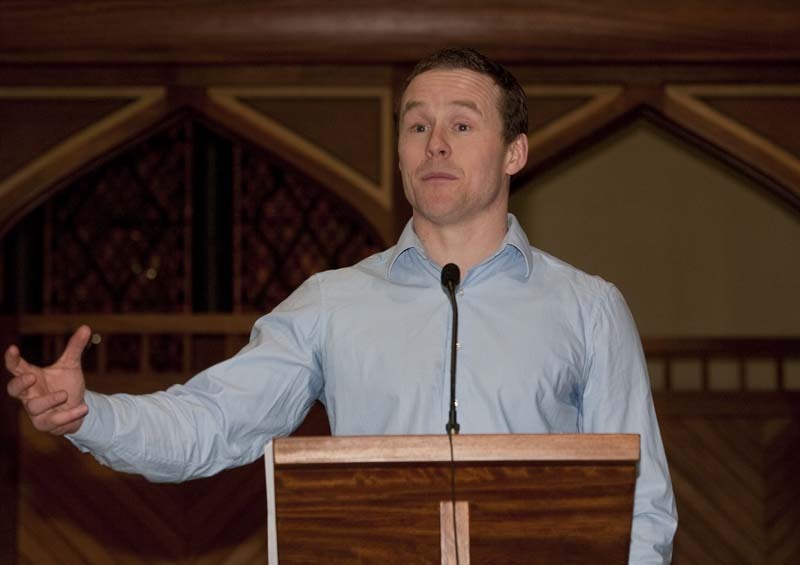 Andy Moran, captain of the Mayo Senior football team and community development officer with the Mayo Roscommon Hospice stands out as a shining example of just that. Andy has often referred to dedication and hard work as being key factors in any success. He has recognised time and again that being a member of a team and putting the team first is of utmost importance. There is a lot to be learned in that for us, and you in your reflections have already pointed that out – it is in the giving to others that you have received. We know by the very nature of Andy’s work with the hospice and in his sporting life he too has recognised that when you give of who you are you receive so much more in return and I have no doubt that from this Andy knows exactly what it means to put your faith into action. We have seen him engage in the role of leader on the football field. We recognise in him great characteristics of positivity, understanding, determination and encouragement. We know without doubt that he has experienced many of the sacrifices that are made to bring about change for the better in the lives of others. Andy we thank you most sincerely for sharing this evening with us. We thank you for taking the time out of your very busy life to be here on this important evening for these young men and women. I invite you now to share a few words with us. Once again I want to congratulate you on your commitment and dedication in completing the award. I also want to thank you for the thought and consideration you invested in the wonderful reflections you presented. I would like to thank Archbishop Neary for his words of encouragement to each of you and Andy Moran for his continuing inspiration in the lives of the young and not so young. In congratulating and thanking you the participants in the John Paul II Award I would also like to thank your award leaders, without you, we wouldn’t be here at all. Our schools and parishes are blessed to have so many devoted and dedicated leaders who not only teach the faith in classrooms but who give witness to their faith through their lives. What a wonderful inspiration and example you are to the people in your care. And finally a word of thanks to your parents, guardians and families; while parishes and schools can do so much in nourishing the faith of young people, the home is where the faith is first gifted to us. This evening is an evening to be filled with pride and maybe even emotion as you see your son or daughter step forward to receive an honour such as this. It is a wonderful moment for them and because of that a wonderful moment for you too. This moment has its roots in your promises made on their behalf at their baptism some years ago now. At that time you made a promise to do your best to bring them up in the faith. Today your child is now making that promise for themselves, putting that promise into action and sharing the gift of God’s love with so many. So thank you for all you have done thus far and will continue to do. You are inspiring parents, guardians and families. 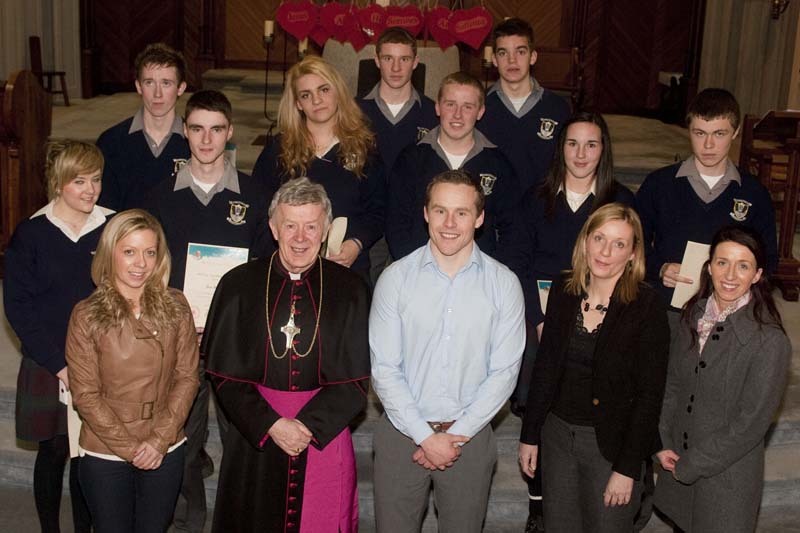 And so to you the participants in the Pope John Paul Award 2012, let me say that you are a source of great hope. Be proud of yourselves, be proud of your parish and be proud of your faith. As you look to what lies ahead on life’s journey carry your faith with you, look to your faith for answers to all of life’s important questions. They may not always be the easiest of answers but they will always guide you along the road best travelled. Encourage others to be involved in the life of the church, share your story with them so that they are sure that it is the church to which all of us belong and it is your turn to be active participants in it. And so before we make our way to St. Jarlaths for a well deserved cuppa there is one other person that must be mentioned. This will come as a little bit of a surprise to him but nonetheless a moment well earned. Fr. Tod Nolan has been the inspiration for many who first took up this award. Fr. 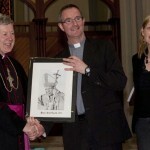 Tod was responsible for setting up this award in our diocese and has seen the numbers of those participating grow from 56 to 112 in just three years. 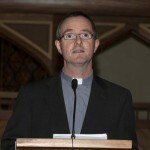 As many of you know he was appointed parish priest in Killererin and so his commitment must now be to his parishioners there. On this evening Fr. 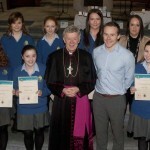 Tod we wish to acknowledge all you have done for the youth of the diocese over the years, we would like to thank you for introducing this Award to the diocese and to sincerely congratulate you for all your hard work, dedication and fun in the area of youth ministry. No one can ever say with certainty how many lives you have influenced for the better but we are confident that there have been many and there will be many more to come. We wish you well as you continue in your ministry and hope that you will enjoy many God gifted moments on your journey with young people into the future. 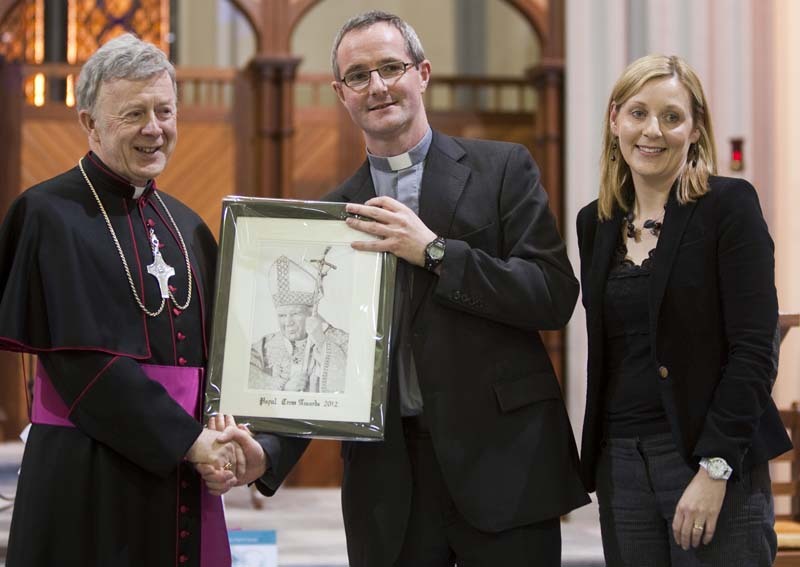 So on behalf of the diocese I invite Archbishop Neary to present you with the highest honour possible in The Pope John Paul II Award. We feel you have deserved it. Fr. Tod Nolan we present you with the Papal Cross Award for your outstanding achievements in Youth Ministry across the diocese. 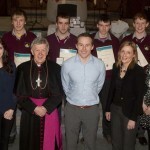 And so finally I invite Archbishop Neary to give the final blessing and to invite you all to St. Jarlath’s College afterwards for some refreshments.